Mustafar Battle. . Wallpaper and background images in the bintang Wars: Revenge of the Sith club tagged: revenge of the sith star wars anakin skywalker obi-wan kenobi battle. 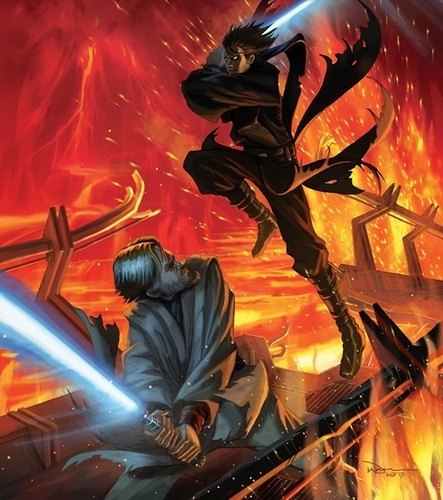 This bintang Wars: Revenge of the Sith fan art contains api and inferno. There might also be api, anime, komik, manga, and kartun. This is really cool! Anakin looks evil! Very evil! Darth Vader he has become (channeling Yoda I am).